Activism and community were experienced through the lens of photographers, as they displayed their work from two free 2018 workshops with acclaimed photographers and award-winning authors James & Karla Murray. In two sessions at the Neighborhood Preservation Center, the famed duo taught participants how to use photography and oral history to raise public awareness, build community, and encourage advocacy. Participants learned to create their own powerful photographs of neighborhood storefronts and connected with owners through interviews. The workshops culminated in an exhibition of each participant's work at The Little Underground Gallery in the Jefferson Market Library from August 1 - October 1, 2018. The opening reception was Friday, August 3 and free and open to the public. Please see this flyer for more details. 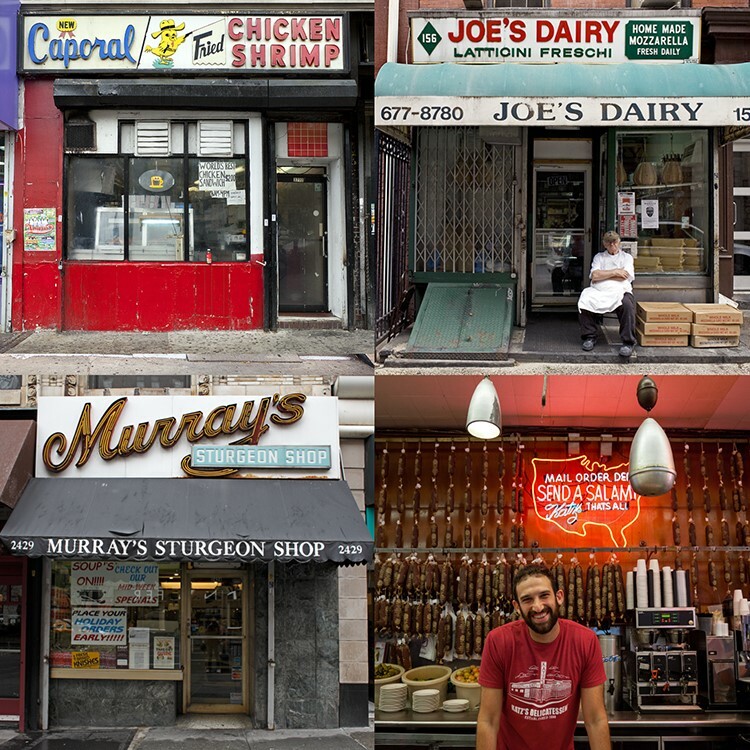 Capturing the Faces and Voices of Manhattan's Neighborhood Storefronts was made possible in part with public funds from Creative Engagement, supported by the New York City Department of Cultural Affairs in partnership with the City Council and the New York State Council on the Arts with support of Governor Andrew Cuomo and administered by the Lower Manhattan Cultural Council. Done in partnership with the Neighborhood Preservation Center. Additional support provided by the Little Underground Gallery at the Jefferson Market Library and the following sponsors: C.O. Bigelow Apothecaries, Eisenberg's Sandwich Shop, East Village Community Coalition, Kaufman's Army & Navy, The Village Alliance, The Greenwich Village Society for Historic Preservation, Landmark West!, Let There Be Neon, Columbus Avenue BID, Neighbor2Neighbor, and Friends of the Upper East Side Historic Districts. Opening Reception Refreshments provided by Veniero's, Murray's Cheese Shop, Economy Candy, See's Candy, and Joe Coffee. Exhibition photographs generously printed by Unique Visuals NY. We were thrilled to be a part of the 10th & Stuyvesant Streets Block Association's 47th Annual Block Party! This event raised awareness of the neighborhood's progress and funds for the upkeep of Abe Lebewohl Park & Triangle and the St. Mark's Historic District. This festive event featured live jazz, local antiques, collectibles, vintage clothing and craft vendors, as well as Veselka's tasty pierogi! We had information on the neighborhood's history and were available to answer questions regarding historic building research. This Street Festival, sponsored annually by the Village Alliance, celebrated all things Greenwich Village including its culture, history, arts, local businesses, and community groups. Attendees enjoyed the live music, food, vendors, and visited our table. We had information on the history of the neighborhood and building research. Attedants joined NPC, along with the Association for Preservation Technology - Northeast Chapter, in socializing with fellow preservationists, learning about the work of APTNE, NPC, and enjoyed a presentation by Kim Fraczek, Director of Sane Energy Project, an NPC incubator group working to halt fracked gas infrastructure and move toward a community-led renewable economy; Jay Egg, consultant and designer of georthermal HVAC systems and Founder of Egg Systems, which provides georthermal consulting, engineering, and contracting technologies; and Dave Hermantin, previous Senior Mechanical Engineer of P.W. Grosser Consulting, responsible for designing geothermal well systems on NYC landmark projects such as St. Patrick's Cathedral and Founder and Principal of RENU Engineering Techonologies, which works to bring mechanical engineering technology to residental and commercial buildings throughout the country. The presentation was followed by light refreshments and networking amongst attendees.